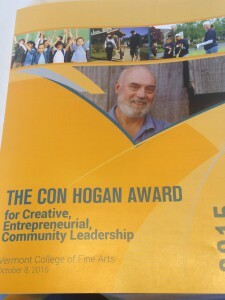 Ellen Kahler, executive director of the Vermont Sustainable Jobs Fund, is the winner of the inaugural Con Hogan Award for Creative, Entrepreneurial, Community Leadership. You’ve met her before. Ellen Kahler was responsible for hosting Sakyong Mipham Rinpoche in the Governor’s Office in Vermont June 2014 (click here to read more). There was also an article about her earlier this year in the Kitchen Wisdom Column (click here). 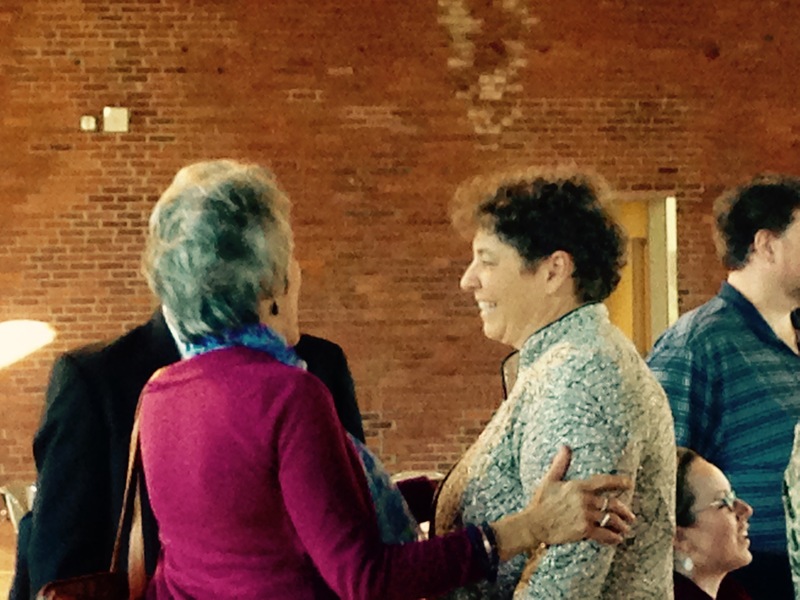 Ellen also serves on the Montpelier Shambhala Group Council, as part of the leadership team that has been growing their local sangha. She didn’t really want us to write about her again, but the fact that she has found a platform in the greater society to espouse the teachings draws us to her. 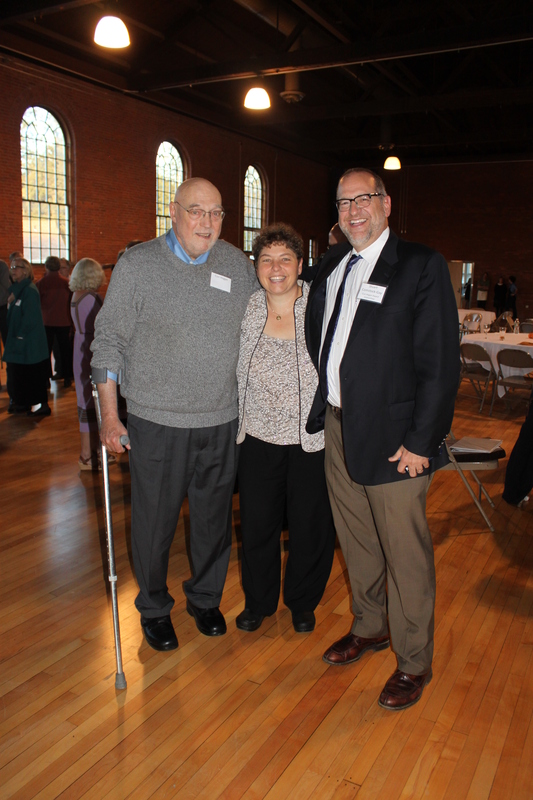 Ellen has long been a figure in the transformation of Vermont society, having led both the Peace and Justice Center and now the Vermont Sustainable Jobs Fund. Looking back at her career of over 25 years, Ellen has been remarkably tuned in to the issues that affect the state. While Ellen was the Executive Director of the Peace and Justice Center in Burlington (1990 to 2002), her most well-known works were the Vermont Job Gap Study and the Vermont Livable Wage Campaign, which won statewide attention around the issue of basic family needs, livable wages, and under-employment. Ellen became the Executive Director of the Vermont Sustainable Jobs Fund (VSJF) in late 2005. 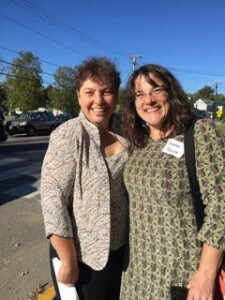 Over the past 10 years, she has demonstrated leadership on projects such as the development and implementation of the Farm to Plate Strategic Plan – a 10-year plan to strengthen the food and farm economy in Vermont – and providing grants and technical assistance to farms and businesses in the forest products and bioenergy sectors. She is a graduate of Bucknell University in Pennsylvania with a BA in Political Science and from the Kennedy School of Government at Harvard University with a Masters in Public Administration. Today, a few of us very proud Shambhalians had the pleasure to witness as Ellen received this very prestigious new award in Vermont: the Con Hogan Award for Creative, Entrepreneurial, Community Leadership. 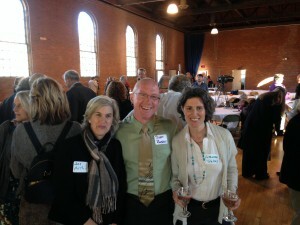 The $15,000 award was presented to Ellen at a reception at the Vermont College of Fine Arts in Montpelier. Furthermore, “the award recognizes a leader who shows deep community involvement, generosity, enthusiasm, a collaborative approach, and a focus on data and outcomes in his or her work. In the award’s first year, 25 Vermonters representing a variety of interests from across the state were nominated.” Ellen, after many nominations, was recognized as holding these leadership qualities and came out on top. In her address to the assembled gathering of over 100 people, Ellen not only demonstrated her excellent leadership by naming all those who have mentored her on her path, but she also challenged the assembly, saying, “I invite you to consider how our culture of fear and greed has been built and what this has led to. And then think about the desire we all have to be happy and to live from a place of hope and optimism for the future. What will most enable that? Will a culture of fear and greed lead us to be happy or to solve the incredibly complex challenges we face as a species today? Or do we need a culture of kindness to help us get to happiness and a feeling of all-rightness. “I think we need to have a conversation about re-defining wealth in this country. We need to shift the definition of wealth from a level of accumulated money to a feeling of well-being. A feeling that you have ‘enough.’ What would that take? What would the metrics be to gauge kindness, care and ‘enough-ness’ in our society? Ellen has clearly demonstrated a profound embodiment of the Shambhala teachings, and we couldn’t be more proud to congratulate her on receiving this wonderful award!